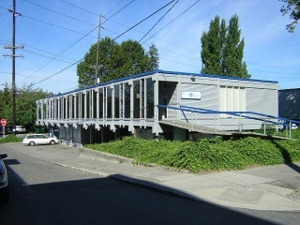 The 2000 Fairview office building is located on a quiet street across from Lake Union and offers it?s new owners the chance of a lifestyle that is synonymous with the eclectic and vibrant Eastlake community, one of Seattle's fastest growing and hippest neighborhoods. It's an area where you will find the best of what Seattle once was, and also get a glimpse of what it could be. Full of great locally owned boutique shops, pubs, restaurants, and water born activities. Eastlake attracts business?s from all over the Seattle area. At over 4,000 square feet, the design was well engineered and thought out to provide you a comfortable yet flexible work environment. The 7,700 square foot lot has ample space for employee parking and potential rental of unused spaces to area houseboat owners. Wired for High Speed Internet and phones in all the offices. Eastlake is a convenient, fun and exciting place to work, don?t miss it!! Call Michael Peters or Larry Simonson today for a private and confidential showing. They can be reached at #206-522-5500.